The Institute for Mathematical Sciences at the National University of Singapore hosted a two-month research program on "Mathematical Theory and Numerical Methods for Computational Materials Simulation and Design" from 1 July to 31 August 2009. As an important part of the program, tutorials and special lectures were given by leading experts in the fields for participating graduate students and junior researchers. This invaluable volume collects four expanded lecture notes with self-contained tutorials. 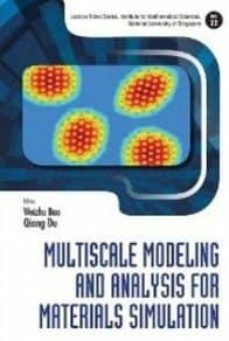 They cover a number of aspects on multiscale modeling, analysis and simulations for problems arising from materials science including some critical components in computational prediction of materials properties such as the multiscale properties of complex materials, properties of defects, interfaces and material microstructures under different conditions, critical issues in developing efficient numerical methods and analytic frameworks for complex and multiscale materials models. This volume serves to inspire graduate students and researchers who choose to embark into original research work in these fields.